In chemistry, a molecule and compound is formed when two or more atoms connect to each other via a chemical process known as bonding. There are two types of chemical bonding ‘“ covalent and ionic. In the ionic form of chemical bonding, the atoms that are linked together, do so by attracting ions that have the opposite charge and the number of electrons that are exchanged in the process may vary. In chemical bonding however, the atoms share electrons. In ionic bonding, the electrons are totally transferred from one of the bonding atoms to the other. It is the electrostatic forces that make the ions with opposite charge to get attracted to each other. For example, in an ionic bonding between sodium and chlorine, sodium loses its only electron that is positively charged to the negatively charged ion of chlorine. In ionic bonding, the atom losing its electron shrinks and the atom gaining electrons grows in size. This is not so in covalent bonding in which ions are shared equally. 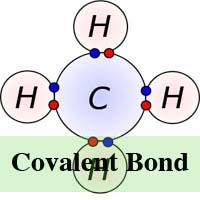 Covalent bonding takes place when the atoms occurs because the atoms in the compound have a similar ability to gain and lose ions. So, ionic bonds may form between metals and nonmetals while, covalent bonds form between two nonmetals. Ionic bonds can also be dissolved in water and other types of polar solvents. Also, ionic compounds are very good conductors of electricity. Ionic bonds also lead to the formation of crystalline solids with a high melting temperature. Ionic compounds are also always solids. Meanwhile, unlike ionic bonding, covalent bonding requires molecules to exist in their true form and therefore, covalent molecules are not attracted to each other but exist freely in liquids or gases at room temperature. Covalent bonding can also lead to multiple bonding unlike ionic bonding. This is because some atoms have the ability to share multiple electron pairs thereby forming multiple covalent bonds at the same time. lanceaksh. "Difference Between Ionic and Covalent bond." DifferenceBetween.net. February 26, 2018 < http://www.differencebetween.net/science/difference-between-ionic-and-covalent-bond/ >.